From one dream, four generations of excellence. Each bottle of Peller Estates wines represents the commitment of the Peller family to making award-winning wines of superb quality and character. Just over 40 years ago, a Hungarian immigrant named Andrew Peller opened a modest winery in British Columbia’s Okanagan Valley . It was his belief that as the Canadian community matured culturally that eventually wine would and could become a major part of its lifestyle the same way it did in Europe . And that means not just the wine itself but the whole concept of really appreciating food and wine together in a way very much different than only a very special occasion type of product. That was Andrew’s view in the early days that motivated him to start a winery. 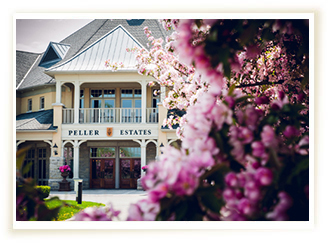 As Peller Estates has been successful with introducing wines and being part of the increasing wine movement in Canada, the Peller family keeps setting goals to higher levels and the aspire to produce wines that rank amongst the best in the world. It is from signature products like Icewine, but also Chardonnays and Rieslings that are as good as those produced anywhere around the world, as well as premium and ultra-premium red wines. Many believed that these could not be grown, but it has been repeatedly proven that premium reds actually do extremely well and the quality is quite remarkable. 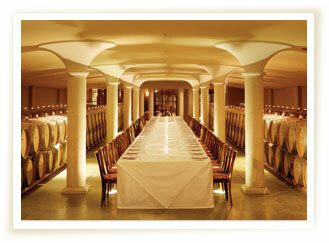 For more information please visit us at Peller Estates.